The second review of our customer service seasonal bicycle storage. Home » News and events » The second review of our customer service seasonal bicycle storage. Today we'll go to a party at another of our clients who have used our service seasonal bicycle storage. We spoke with Alex, was the name of our hero segodnyashy interview at his home this weekend. Thank you very much for taking the time to him and certainly thank you for using our services bicycle storage. And for those who still do not understand what will be discussed urgently look at the description of our new service here ... So the actual interview. - Alex, how long do you ride a bike? - For several years now. About 5. - You have 2 bikes on the balcony. Whose second? - My Girl. Bought 2 years ago, they started dating. 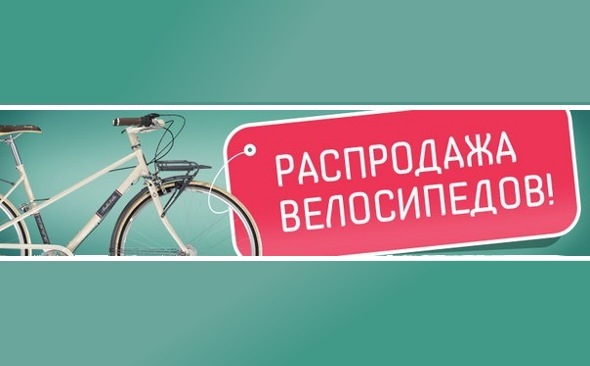 I can already tell how cyclist "with experience" :) wanted to see my favorite, too, has joined the cycling culture and we would be able to more time together Providence. - It's great! Well done! But tell me that's why you do it, I mean ride a bike? What are the reasons why you like to ride? - Well, in general, is ... Well, this feeling inside of you, it's how I want to drink water, as some need inside you. This is like a part of you and your lifestyle. Well, it certainly is good for health. Partially this is extreme, I occasionally ride a bike in KarPTI, well, in Kiev is also extreme :) This sense of freedom, a sense of the flight itself. Well, certainly it's fashionable! And nice to feel European. They've got it almost every country developed by 3 orders of magnitude higher. - At what time of year you often ride? - As soon as the warmer, the snow melts, not so wet on the roads and to fall, sometimes deep in November if less dry as this year. 2013 cycling season will open probably in March, when the temperature rises above 10 C. - A winter? - Winter is not, there are other sports and active time spending. I love to ride the board, and sculpt a snowman! Joke! :) But be sure to try somehow to ride a bike in the winter :) - Do you have your own garage or renting? - Unfortunately, or fortunately - not their own. A rented for 500-600 USD per month, while also no need. Not yet burdened by family problems by type to make an old sofa and a fridge, and a girl with a rolling pin until the beats :)) - And how big is your apartment? - Studio. Balcony couple of squares. Corridor and hallway in one person. - Where do you usually store your bikes? - On the balcony, if not a long ride, or in the hallway, but sometimes it is not very convenient. RV is sometimes dirt, which is not completely removed after skiing, it dries up and sypitsya on the floor, and direct sunlight, and temperature on the balcony is not very useful for most of the day led. - Why are you asked us for this service as bike storage? 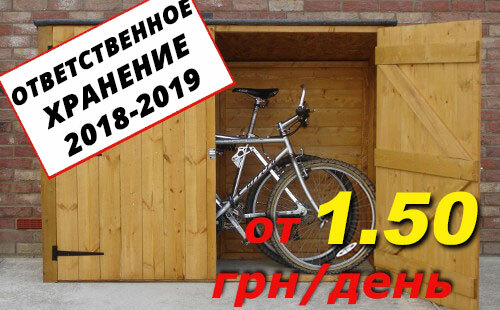 As we have previously reported, from 01.11.2012, we launched a new service - a seasonal bike storage in winter and autumn. Also read the first to review this service winter bicycle storage.